Allan Wolf’s The Watch That Ends the Night was named by Booklist as one of the 50 Best Young Adult Books of All Time. Two-time winner of the North Carolina YA Book Award, Wolf is an author and performance poet based in Asheville, NC. A winner of the prestigious Claudia Lewis Poetry Award from Bank Street College, Wolf’s many books showcase his love of history, research, and poetry. His latest verse novel, Who Killed Christopher Goodman? is based on the murder of a high school friend in the summer of 1979. With literally hundreds of poems committed to memory, Wolf travels the country presenting author visits and poetry shows for all ages. Kris: At what point in your crafting of a new project does revision come into play? Allan: I consider revision and editing two separate things. Which is not to say that they do not cross paths. In fact, they DO cross paths—and bump and cuddle and collide and dance all the time. But revision, to me is more “meta.” During revision, a writer is simultaneously looking at “the big picture” (the arc of development, the length of each passage, the motivation and growth of characters, etc) and the “controlling theme” (the indefinable, yet inevitable, “heart” of the writing). Kris: I love that. Each story does have a heartbeat. What is your advice for writers who are working on fine-tuning the rhythm of their language to those beats? Allan: There is no substitute for reading. Read the good, the bad, the ugly. The masters. The amateurs. Novels, magazines, and maybe even a double helping of poetry. Don’t be shy. Read the words aloud. Read aloud to yourself. To your spouse. To your dog or your houseplants. (I’m not joking.) Allow yourself to fall in love with the innate rhythms and music in our language. 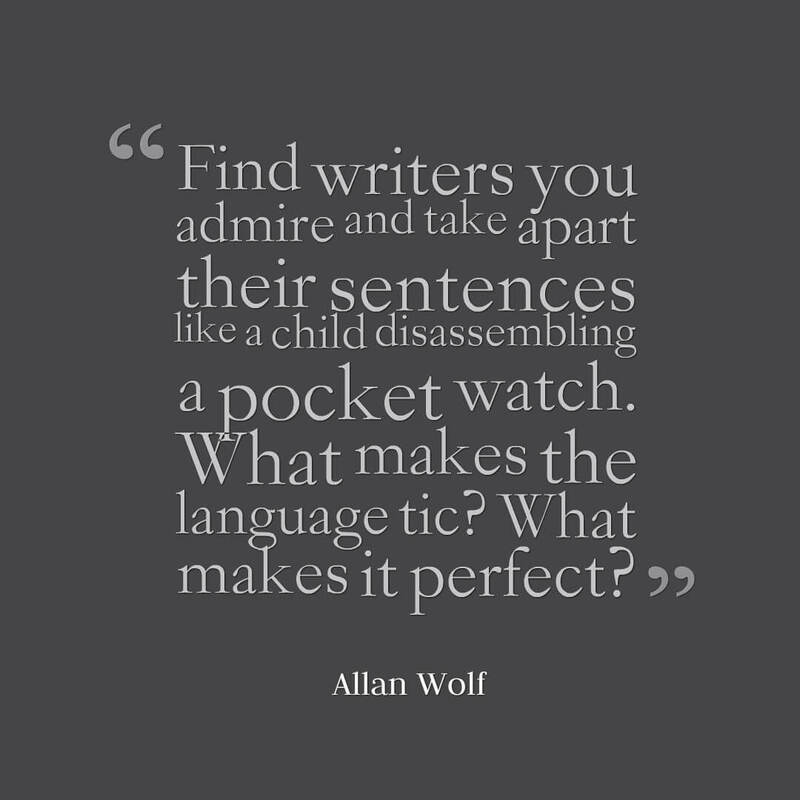 Find writers you admire and take apart their sentences like a child disassembling a pocket watch. What makes the language tick? What makes it perfect? The rhythms do what they must do, yet they don’t distract from the content. Kris: Sometimes that rhythm comes down to just the right choice of words. When you’re looking for the perfect word to polish a sentence to a shine, what is your process? Allan: If I’m writing with pen and paper (never pencil—thank you very much, ew!) I will mark through words lightly and write replacement words between the lines or in the margins. In particular, when I write a lot of poetry, I will re-order entire lines by placing my own specialized editing marks. I’ll place A, B, C or D next to words or sentences to show the sequence. Or a, b, c, d. Or 1, 2, 3. Etc. I’ll circle whole passages. Cross out entire stanzas and paragraphs. Once the page is so confusing that I can’t decipher my own thoughts, then I’ll turn to a fresh page and transcribe it as neatly as possible and start all over again. If I’m composing on the computer, I will change individual words and phrases, sometimes whole sentences or lines. But again, I will begin by doing a “cut and paste” of the old line, placing the new line just below the old one, then alter the new one so I can see both versions in close proximity. If one of the examples falls out of my favor, I will use the “strike through” function, so I can still see the old line or word. If I end up with so many false starts that I’m getting confused, I will use the yellow highlight function to make the best versions “pop.” And all the while I am reading aloud and sounding it all out. All the while typing with fluidity. I have a dog-eared rhyming dictionary, though I also use rhyming word websites. And I will use the “synonym” function of my Word dropdown menu. But beware. These paint-by-numbers tools can lead to disaster in the wrong hands. Oh yes, and I use sound-canceling foam earplugs! Really helps me to focus. In my longer novels, I will really only find the perfect rhythm toward the end of the writing. That’s when it all “clicks” and I’m no longer second-guessing myself. Every detail becomes “inevitable” and in perfect sync with the heartbeat. Once the “down draft” of a longer novel is done, I will return to the earlier passages and rework those moments with my newfound feel. I will add a little foreshadowing to reflect the newfound realities of the latter half of the book. I will enhance the lucky moments written before I knew how well they worked to further the story and support the theme. Kris: There is so much solid advice here for writers to sink their teeth into! Have you ever had a discovery about your work during a revision that completely reshaped what it became? Allan: This is true of just about everything I’ve published: poem, picture book, or novel. You may as well add song lyrics to the list too. 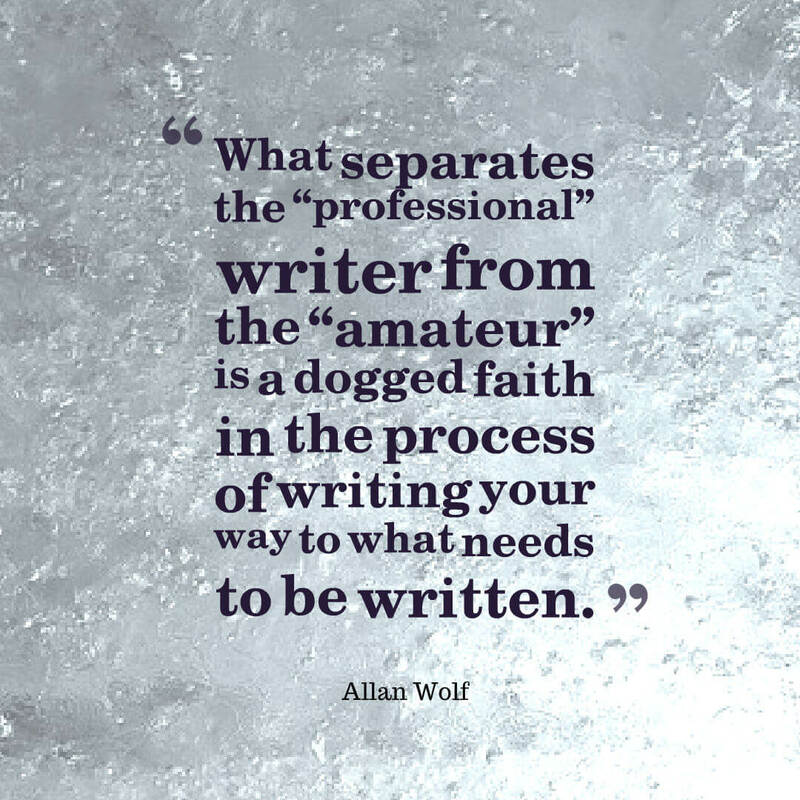 What separates the “professional” writer from the “amateur” is a dogged faith in the process of writing your way to what needs to be written. John Keats famously called this “negative capability,” the ability to embrace uncertainty. Even the most extensive and detailed outline is just a scaffold that allows a writer to access all those out-of-the-way places. The wonder, the discovery, the Truth (with a capital “T”)—all of that lies within the framework. 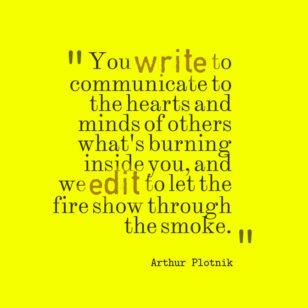 We writers who are lucky enough to “have” editors are faced with an additional challenge. Does an editor make a book “better?” Or does an editor merely make a book “different?” What writer hasn’t stayed up all night asking that question? Every long novel I’ve written has been reshaped based on one or two simple notes of “the” editor. But even editors’ comments (suggestions? demands?) are just another tool toward uncovering or clarifying some greater Truth. Kris: Right, and you’re trying to discover that greater Truth for yourself as well as clarify it for your readers. How does knowing your audience factor into your revision process? Allan: Excellent question. We have all heard writers say they write to please themselves and not the reader. These writers are either lying or they didn’t understand the question. Most professional writers that I know have an audience in mind for what they are writing. And the needs of their particular audience are probably most influential during TWO specific moments. One: the earliest process of outlining or brainstorming (or whatever you call it). And Two: The revisions that begin after the first complete draft. In the early stages, I will keep my audience in mind by being sure that my overall premise passes the “so what?” test. Who will even care? Who will read these words? 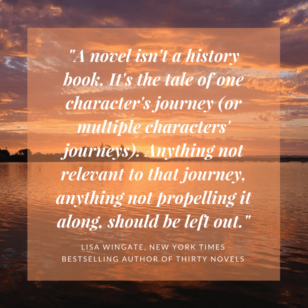 What do I want the reader to leave with? Then I’ll set about bumbling through the first draft (what I call the “down draft.”) This may take a day for a poem, or a couple years for a novel. Luckily I work with great editors who will flag parts of my writing that will not appeal to my audience (usually kids or young adults). Examples: I tend to use words that I call “clever,” but what my editor will recognize as “passé.” A Tween will not use the word “smitten” for example. So we end up changing it to the tried and true phrase, “in love.” In my latest novel, Who Killed Christopher Goodman, one of my characters says, “Honest Injun,” just as I realistically did back in 1979 when the novel’s action takes place. Because I am writing for young people, I changed the phrase to the more culturally sensitive, “Hand to God.” I’ve never used the phrase “hand to God” in my life and likely never will. It was a change suggested by the book’s editor, Katie Cunningham. I liked it because it still seemed to fit the character, and there you go. I might add here, that when I’m writing for YA, I like to be sure that my stories offer some sort of hope. And clarity. And humor. And maybe a bit of magic. These needs are not specific to young people, of course, but when I see young people as my potential readers, it certainly shapes every part of my writing process. 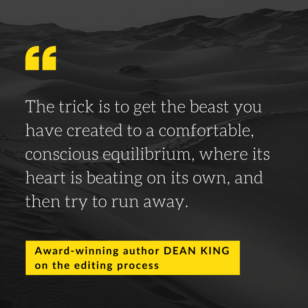 Kris: What is your favorite part of the editing process? Allan: My favorite part is likely every author’s favorite part: When the FedEx truck delivers the first early galleys (what in modern times is sometimes called “First Pass Pages,” or something similar). All the formatting is done. The font is settled. The words that sprang from my own mind and my heart are all right there. The whole story has been shaped and molded and hammered and hacked and rebuilt and buried and dug up and buried again. Now, finally here it is, an actual “thing” with a life all its own. That’s the moment when I take the manuscript to my favorite coffee shop and I order an expensive coffee drink (since you asked, a hot hazelnut soy latte, thank you very much) with a yummy scone. And I settle in to read this “thing.” This “thing” that is separate from me. I am no longer reading it as the author, the inventor, the mother or father. I am reading it now as “the reader.” And THAT, in the final analysis, is why I write. Because somewhere, some time, some how—someone will be reading what I wrote! That is the goal, isn’t it? That someone will read what you wrote. It’s a goal that sometimes seems so far away and sometimes just at your fingertips. Even after you’re published, there’s something profound about knowing your work is being read, that the ideas that formed in your mind have been translated onto paper and then into someone else’s imagination. The first draft, the “down draft,” as Allan calls it, is just the beginning. You have to get it down, and then you have to make your story and your characters and your words and your ideas as simple and as profound as they can be, as exquisite and as effortless-seeming as possible. No small task to be sure. But with time, practice, and great advice to follow like what Allan shares here, I have faith it can be done. Thank you so much for your thoughts, Allan Wolf, and happy writing, folks!